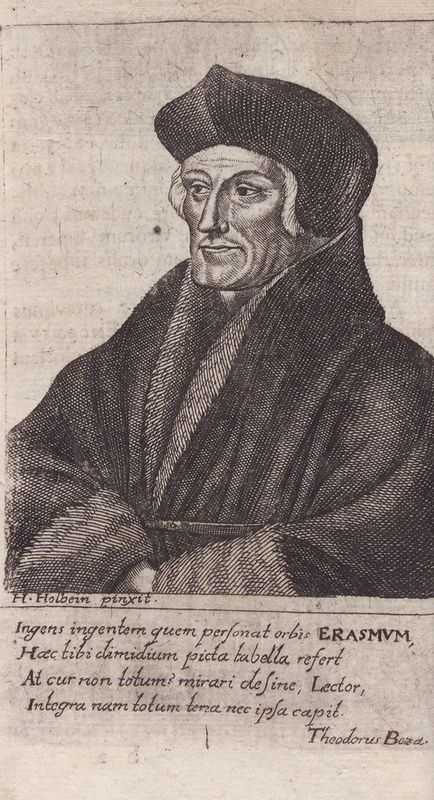 Desiderius Erasmus. [Mōrias enkōmion (Romanized form)]. Stultitiae laus. 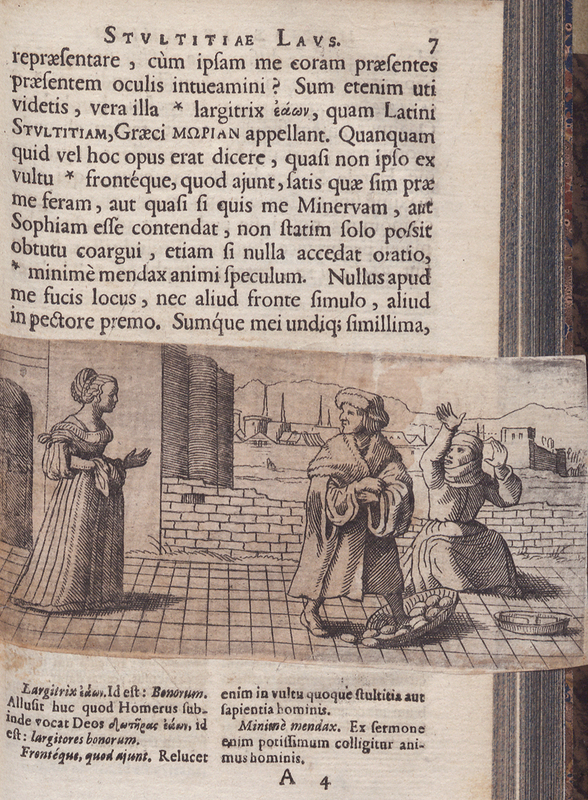 Basel: Typis Genathianis, 1676. 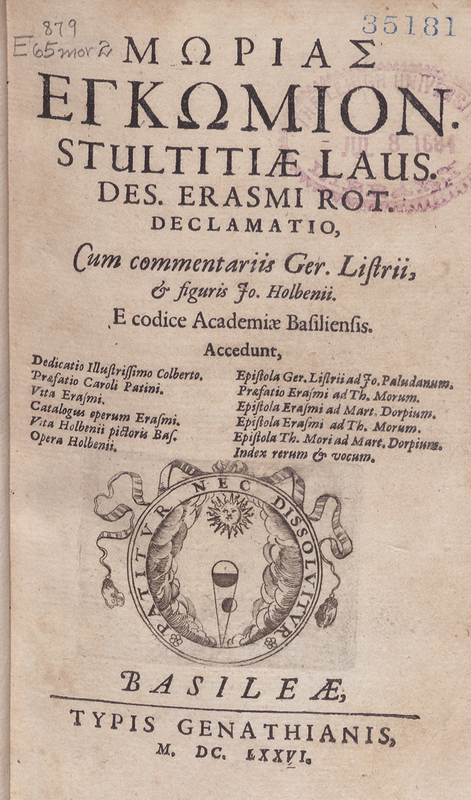 Translated as The Praise of Folly, this text bears two titles: Moriae encomium (Greek, Romanized) and Laus stultitiae (Latin). 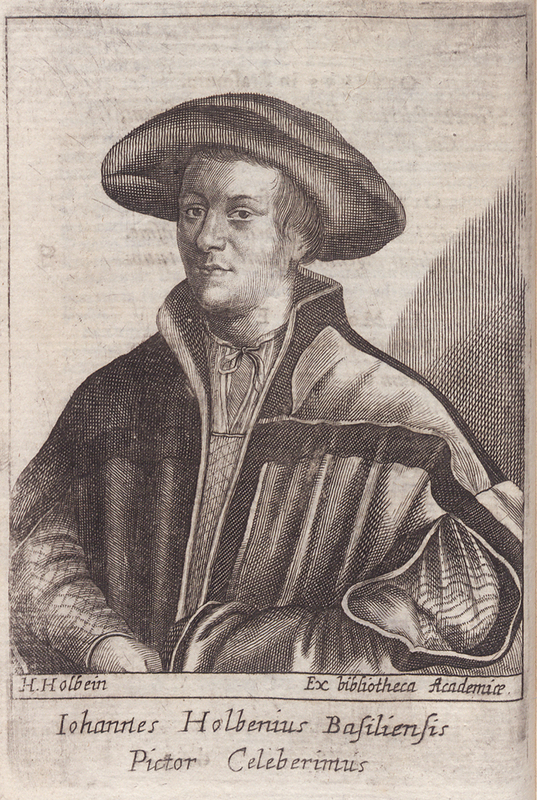 Erasmus wrote this satirical attack on superstitions and other traditions of European society in general and the western Church in particular, it was written in 1509, published in 1511, and dedicated to Sir Thomas More. 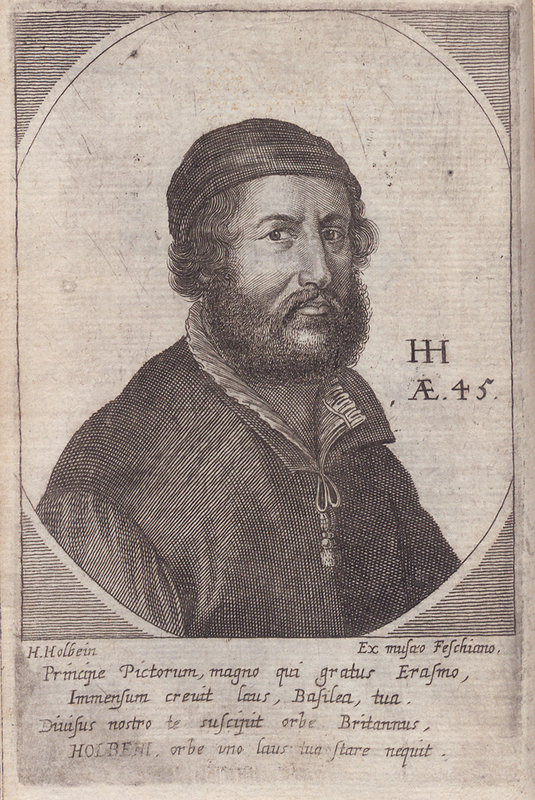 This edition, which includes an added etched title page, contains 83 etchings after drawings by Hans Holbein (1497-1543) in the margins of a 1514 Froben edition of the Encomium moriae in the possession of the Bibliotheca Academiae Basiliensis (Dedicatio, a4 verso).